The Monster Squad enlists amazing skateboarders that also happen to be talented musicians. Check out the last digital issue of Skateboarder Magazine to hear/see video interviews with these bros. View it here. 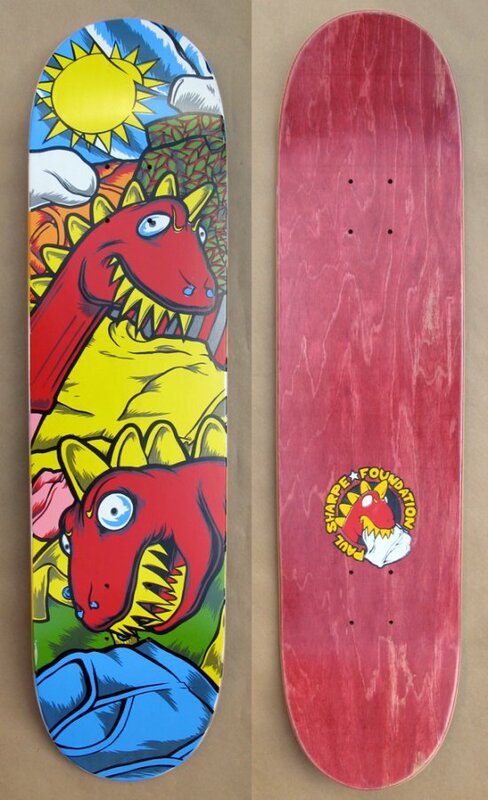 Foskco fam, Steve Emond has procured a rad collection of classic Foundation boards over the years. Recently Steve came across this Paul Sharpe pro model from 1995 to add to his ((F)) anthology. Strange New Feelings Teaser: Jim Goldberg from Kevin Barnett on Vimeo. Joe Thurston, a husband and father of two, was one if the 19 brave firefighters that last his life in the AZ wildfire. Joe was also a skateboarder. 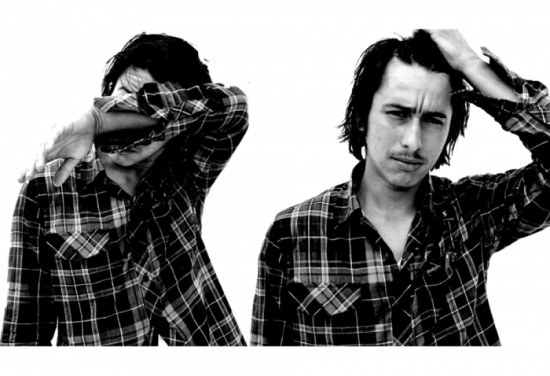 Today The Berrics paid tribute to Joe with a rad edit of his clips from over the years. We currently have a memorial skate deck that is raising money for the 19 families of these brave men. Strange New Feelings examines the life of artist and skateboard legend Ed Templeton. Click here to learn more help the contribute to the Kickstarder fund for the film. Check out Dan Lu's pro wheel here. 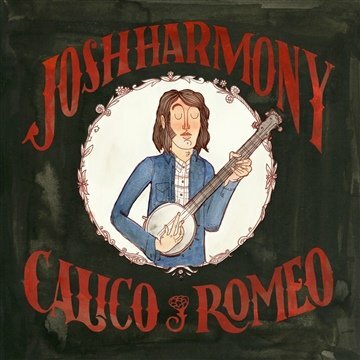 Josh Harmony has his new album available for FREE! Download it here. 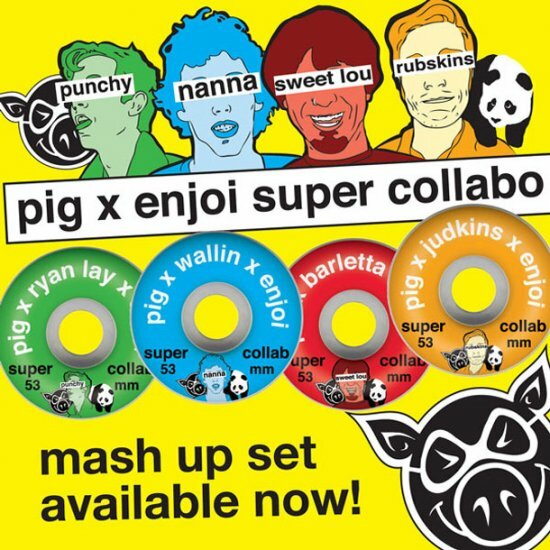 Mash it up with Louie Barletta, Nestor Judkins, Zack Wallin and Ryan Lay on this Pig X Enjoi super collabo. Josh Harmony was recently in Detroit,MI hitting up DIY spots. He also just released a High-Fived video with Ride Channel. Watch it here. Raw power mixed with effortless San Jose style, Zack Wallin kicks off his Bangin by charging through a line going full Busenitz speed and shuts it down by huckin’ down a behemoth of an NBD gap in the park. Enjoi it here. Subsect sat down with Mr. Romero and discussed all things skateboarding. Read it here. 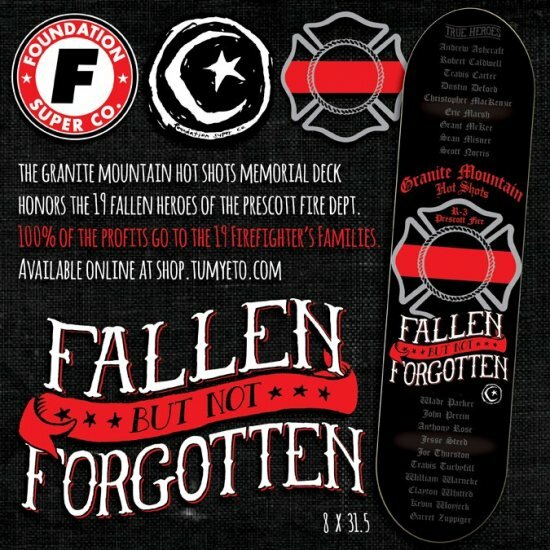 Foundation Skateboards created a tribute board for the 19 Firefighters that lost their lives on June 30th. 100% of the profits will be donated to the families of these brave men. Foundation Super Co featured on Breaking Bad! Legendary photographer Dave Chami has launched a new website. Click here to see tons of great photos. Pat Burke on the Weekend Buzz! Shark Week Slam - JAWS! Click here to see the entire Fall 13 Collection. The new Foundation "Ju Ju" pro series is now available at your local skateshop. Check out Ed's interview about #dailyHBpier observations on Vice. Aaron "Jaws" Homoki : X Games Real Street opening clip extended edit.